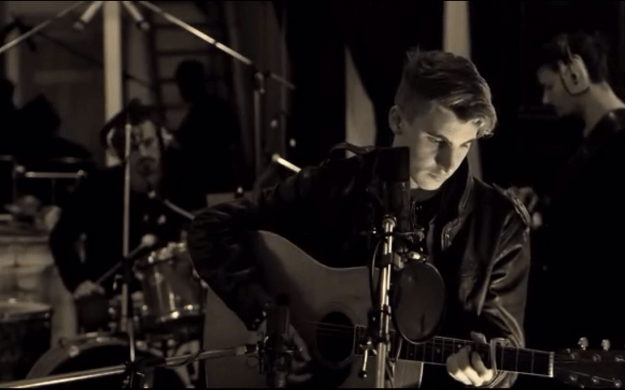 Mo Evans is a 19 year old singer/songwriter who grew up in the tiny village of Path of Condie in Scotland. As the son of producer Robin Evans and artist Sam Brown, and grandson of the legendary Joe Brown, Mo was immersed in musical talent from a young age. He started to play the drums at just six years of age, and the guitar three years later. Mo moved to London at sixteen for secondary school, and joined a band called Space Jelly. The band soon folded, with Mo and band mate Tom forming a song writing duo. Deciding it was now time to get serious about his music, Mo began writing and performing on his own. With such an amazing musical heritage and influences drawn from the likes of Fleetwood Mac and Lou Reed, it’s hardly surprising that Mo has now written an impressive catalogue of tracks. In the last 12 months, he has been gigging in London and also embarked on several European tours. Mo was also selected as the Silverstone Classic “Emerging talent of 2014″. This event saw him perform to 100,000 people as he warmed up for Bonnie Tyler. Mo has recently released his debut EP “Spilled My Love”, which can be purchased from MoEvans.com. Next Next post: A New Direction for Music?